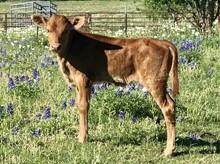 3S Danica bred by Alan & Teresa Sparger, has been added to our LM herd. 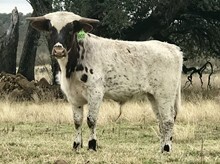 She was the highest selling animal EVER at the Legacy Sale 2017 originally purchased by TallGrass Cattle Company. 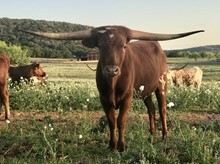 At the young age of 5, she was the first longhorn cow EVER to reach 100” TTT. 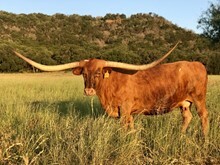 And she remains the widest longhorn cow EVER at >102” TTT ... and growing. She is elite.